As of today, the Charter cable company officially owns Time Warner Cable and another operator, Bright House, thanks to a $65 billion mega merger. I know you're wondering how this affects you if you are one of the millions of people who get cable from any of these companies. The answer is that you won't notice any big changes right away. But gradually, in the coming months, Charter will strip away Time Warner Cable and Bright House's names and introduce its own branding. 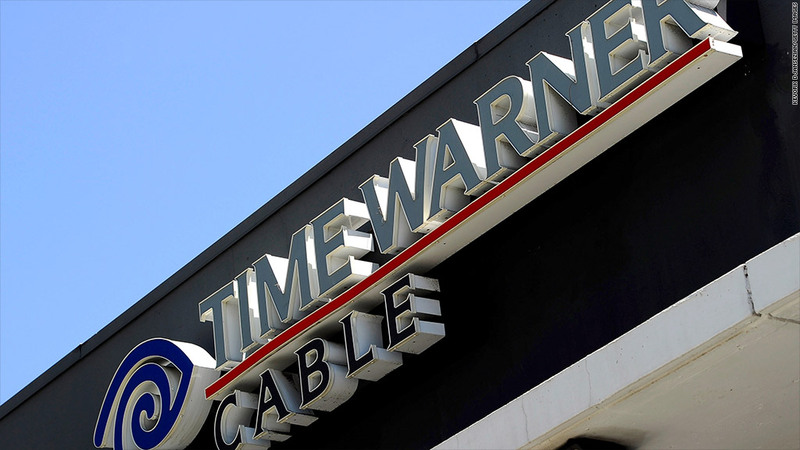 This means the much-maligned Time Warner Cable (TWC) name -- a piece of cable television history -- is going away. The newly enlarged Charter is now one of the biggest television providers in the country, standing alongside Comcast (CMCSA), AT&T (T) and Verizon (VZ). Charter (CHTR) calls its cable TV and broadband services "Spectrum." "One of our first major initiatives in implementing the Charter Playbook is to streamline our product pricing and packaging and introduce our consumer-facing brand, Spectrum," Charter CEO Tom Rutledge told employees in an email message. "This will be rolled out in a phased approach beginning this fall." The transition will take awhile. On a trip to a big Time Warner Cable market, Los Angeles, last week, I spotted at least a dozen trucks with Time Warner Cable logos on the side, some of them looking brand new. Charter will be replacing those logos and training the technicians in its way of doing business. This merger was announced almost one year ago. It won its final approval last week from California's Public Utilities Commission. So Wednesday is the day that the deal actually took effect. Charter has somewhat higher marks for customer service than Time Warner Cable, though the industry as a whole is not very popular among customers. So Charter is hoping to win new fans in Time Warner Cable markets like L.A. and New York. Public interest advocates have doubts about whether the deal will really help consumers, but a Charter spokesman said it will offer a "superior product set at highly competitive prices." The company is also highlighting the fact that it is bringing "thousands of outsourced jobs back to the United States," as Rutledge said in his internal memo. Overseas Time Warner Cable call centers will be replaced by American workers. Full disclosure here: My wife works for the local news division of Time Warner Cable. And I work for the CNN division of Time Warner. The two companies share a name because they used to be two pieces of the same company. But in 2009 Time Warner spun off the cable half. I can't count the number of times I've had people mix up the two similarly-named, but separate, companies. Retiring the Time Warner Cable name will make life simpler. But the change has an "end of a cable era" feel to it. The company's roots go all the way back to the creation of cable television in the 1960s and 1970s. Some top Time Warner Cable executives, including CEO Rob Marcus, are leaving the company as of this week -- and being paid tens of millions of dollars on the way out the door. Marcus emailed his employees earlier this week to say farewell. "For most of you, who will be moving on to New Charter, the future is extremely bright. Tom Rutledge and the team he has assembled are seasoned, talented leaders with proven track records of success," he wrote. "New Charter will have terrific operating momentum and the scale necessary to tap new opportunities that none of the three companies could have on its own."